Jared started working with Abramson, Brown & Dugan in 1992 while still attending law school. In the subsequent twenty-five years, he has represented injured people and their families in some of New Hampshire’s most complex and tragic cases. Jared has had a prominent role representing victims of clergy sexual abuse and victims of the Hepatitis C outbreak, as well as individuals who suffered horrific injuries in workplace accidents, accidents caused by defective equipment and machinery, motor vehicle crashes, and, of course, medical malpractice. He has also argued important appeals before the New Hampshire Supreme Court, the Maine Supreme Judicial Court, and the United States Court of Appeals for the First Circuit. Jared has earned the “Distinguished” rating from Martindale-Hubbell, the nation’s leading lawyer rating organization. 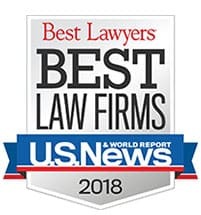 He has also been selected by US News & World Report as a “Best Lawyer” in Plaintiff’s Personal Injury Law and Plaintiff’s Products Liability Law. He was selected to serve on a committee of New Hampshire attorneys and judges recently tasked by the New Hampshire Supreme Court to propose revisions to New Hampshire’s Rules of Evidence. He served on the Board of Directors of the Brain Injury Association of New Hampshire and appeared before the New Hampshire legislature many times in support of legislation protecting individuals and families. He has prosecuted lawyer discipline cases against attorneys who failed to comply with their ethical obligations, taught continuing education courses for attorneys, and written numerous articles that have been published in prominent legal journals. Jared is a member of the New Hampshire Bar Association, the New Hampshire Association for Justice, and the American Association for Justice. Author and co-author of numerous journal articles and presenter/organizer of numerous legal education seminars on medical malpractice and products liability law and procedure.